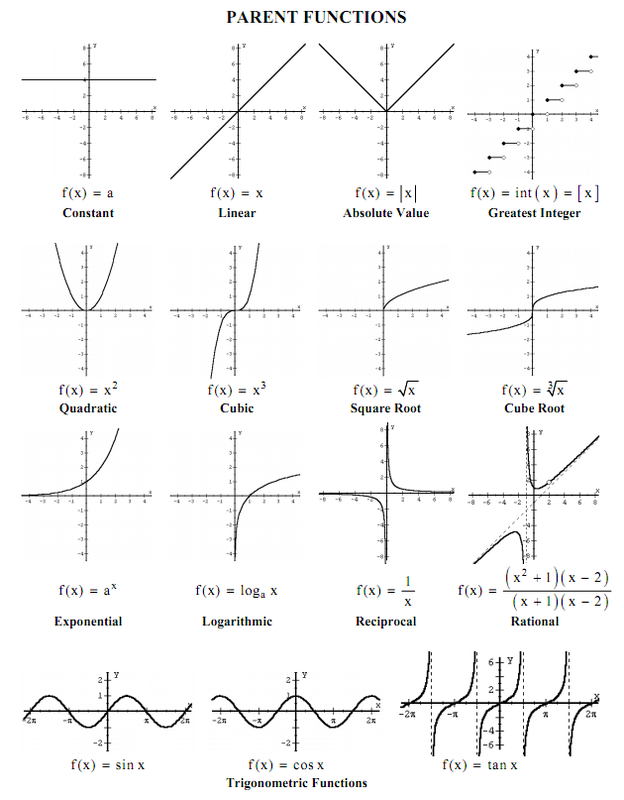 Much of Algebra II and Calculus is concerned with the study of the properties of functions. In this final section, the student will graph functions, find their maximum and minimum values, and determine their attributes solely from their equations. Functions will be used to solve many different types of problems. However, one must first learn the basics--how to recognize a function, and how to determine its domain and range. ﻿Parent functions﻿ are set of basic functions used as building blocks for more complicated functions.